This exhibition took place at UHCW, Walsgrave, Coventry between November 2014 and September 2015. The Centre for the History of Medicine and University Hospitals Coventry and Warwickshire Healing Arts Programme presented an exhibition of images and text highlighting the history of ‘Growing your own’ in twentieth-century Coventry. This exhibition was been curated by Sophie Greenway with the help and support of Emma Linnane, Healing Arts Co-ordinator at UHCW, and Clive Robinson, Sustainable Development Manager at UHCW. Dig for Victory - and for Plenty! There was a strong tradition of food growing in Coventry before the call came to ‘dig for victory’ in the Second World War. Original OS maps of the city show extensive areas of cultivation, most of which has since been covered by housing. reproduced by kind permission of The Garden Museum, London. Figure 2: Potato Pete’s recipe book, front cover. Image reproduced by kind permission of Culture Coventry. During the Second World War and the subsequent years of rationing, growing your own was a necessity. Every available inch of land was turned over to food production. However as this letter shows digging for victory was not always easy. Figure 3: Letter to Coventry City Council re. wartime damage to Beake St. Allotments from ‘children and dogs’. Reproduced by kind permission of Culture Coventry. During the war a group of like-minded Coventrians formed the Family Health Club Housing Association, to plan a housing estate with integral organic farms to provide healthy food for the residents. Over 200 families signed up to the scheme, and two farms were bought in Binley Woods. The scheme was eventually rejected by Coventry City Council, partly due to the plan to build high rise flats in an area of green space, but also because Councillors felt that, during a severe housing crisis, allowing this individual scheme to go ahead would not be fair to the rest of Coventry’s residents. Figure 4: Dr Kenneth Barlow, founder of the Family Health Club, on a tractor at Binley Common Farm. Reproduced by kind permission of Joanna Ray. Figure 5:Scale model of the Family Health Club’s proposed estate. Get involved! If you have any memories of the Family Health Club or of food growing in Coventry generally, please complete our questionnaire here. In the 1970s Coventry was the epicentre of an allotment revival led by Harry Thorpe, who recommended to the government that more people would grow their own if the shabby image of allotments were improved. The allotment site at Westwood Heath was laid out with trees, summerhouses and a community centre to show what could be done. Thorpe wanted to encourage whole families to spend their free time on these ‘leisure gardens’. A decade later, the Henry Doubleday Research Association set up headquarters at Ryton Organic Gardens, near Coventry. The association become known as Garden Organic in 2005, and is now the UK’s leading organic growing charity, promoting organic gardening, farming and food. Garden Organic has worked with UHCW as well as a number of other community growing projects including The Big Dig, Coventry and the Warwickshire Master Gardener programme. Figure 6: Lawrence D. Hills, founder of the Henry Doubleday Research Association, taken in the 1980s. Image reproduced by kind permission of Garden Organic. Figure 7: Ryton Gardens, The Bee Garden, mid 1980s. There is a wealth of opportunities for getting involved in growing your own in Coventry today. Some projects help particular groups, such as the ‘Dig It’ programme , part of the Hillfields Healthy Hearts campaign supported by Coventry City Council in 2012, and some organisations just give advice to get you started. 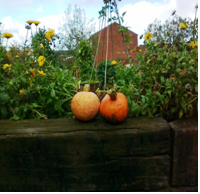 Figure 8: ‘Dig it’ programme, run at Leigh St. allotments for Hillfields residents, by Coventry City Council in 2012. Image reproduced by kind permission of Natalie Bazeley. Did you know University Hospital in Coventry has teamed up in partnership with Healthy Options to pilot a green grocer’s stall at the hospital entrance following a suggestion from a member of staff? The stall opens between the hours of 8am and 6.30pm, Monday to Saturday. In this way, UHCW is enabling both staff and visitors to eat healthily. There is also a nature reserve on site providing fresh air and a space for quiet contemplation. Figure 9: The nature reserve at UHCW. Image reproduced by kind permission of UHCW. Every effort has been made to obtain permission to reproduce the images shown. If however you have any further information about them we would be pleased to hear from you.